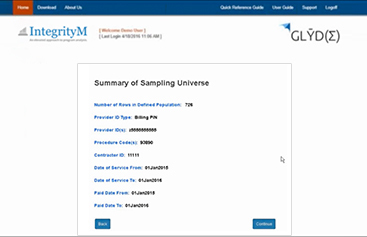 We build powerful statistical sampling and extrapolation software for program integrity efforts. Your workload just got lighter with GLȲD(Σ). 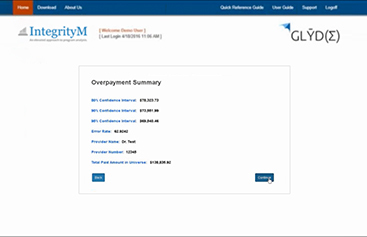 GLȲD(Σ)™ is an innovative statistical analysis application designed to help Federal, State, and private healthcare systems perform statistical sampling and advanced extrapolation. The benefits are clear: repeatable, reliable, and defendable analyses for all levels of users. Statistical analytics for the business minded. Focus on the results. We’ll handle the rest. GLȲD(Σ) does not house your data and can be used within an organization’s secure, FISMA-compliant IT infrastructure. Run complex statistical analyses and methodologies without sacrificing clear, consistent, and uniform reports. 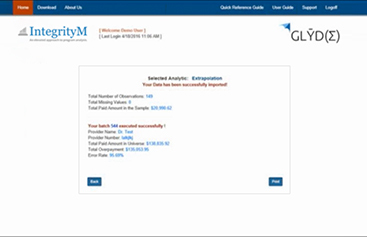 GLȲD(Σ)™ relieves managers, statisticians, and analysts from time-consuming statistical calculations – eliminating manual steps from the sampling and extrapolation processes and performing accurate and reliable calculations at the click of a button. GLȲD(Σ) is a scalable solution that can be independently run by an organization or supported by a team of expert statisticians from IntegrityM. See how it easily adapts to your organization’s sampling and extrapolation needs. 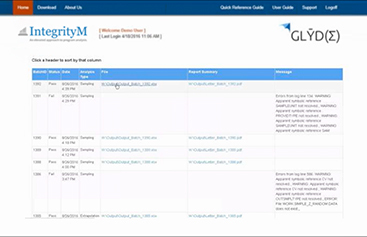 To schedule a free product demo and learn how GLȲD(Σ)™ can be customized to your needs, contact IntegrityM by filling out the form below or calling 703-683-9600.